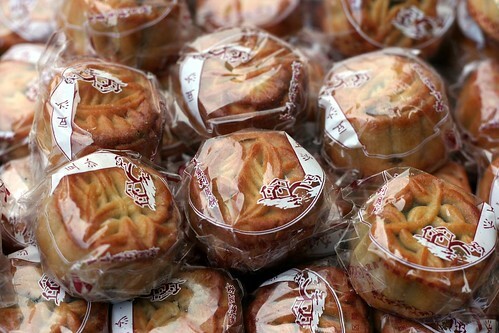 Friday was the Mid-Autumn festival, the celebration of the 15th day of the 8th lunar month. 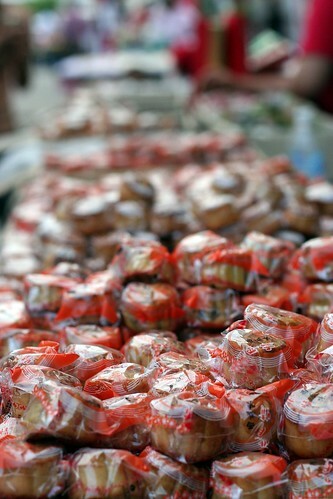 Like fruitcakes during Christmas, mooncakes are given to friends, relatives, co-workers and so on. 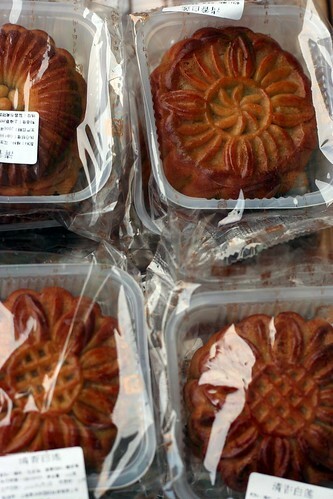 The round moon cakes, measuring about three inches in diameter and one and a half inches in thickness, are made with melon seeds, lotus seeds, almonds, minced meats, bean paste, orange peels or meat. A golden yolk from a salted duck egg is sometimes placed at the center of each cake and the golden brown crust is decorated with symbols of the festival…or symbols of modern-day commercialism. 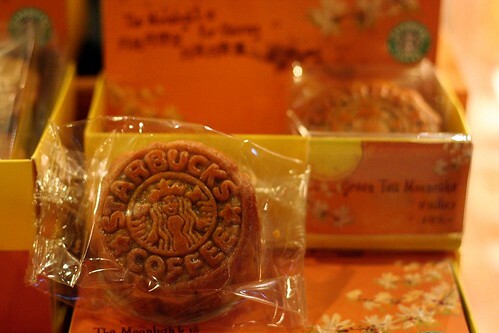 Green tea or espresso mooncake, anyone?